Shock major character death award: The Oracle!!! OMG! Pasiphae believes that if Jason takes the throne then she will never be queen. Why? Is this some actual prophesy that she knows of, or is it just that she believes that he is popular and strong, and with Jason and Ariadne in power together that Atlantis will become a more formidable enemy and therefore more difficult to take? Delmos is interesting. Dion was kind and understanding and supportive of Ariadne. 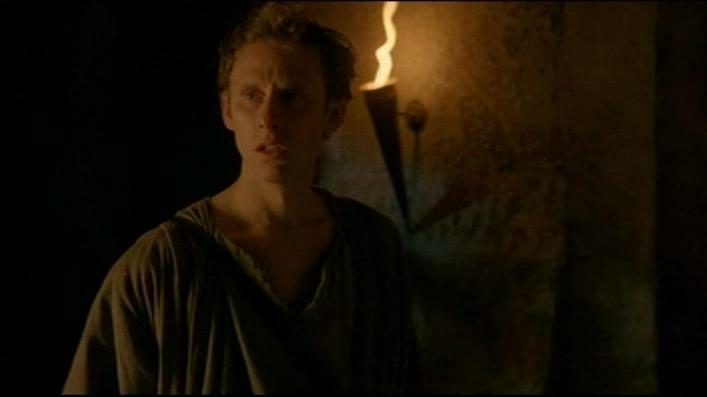 Delmos, on the other hand, is forthright in his opinion that Jason does not have the support of the noble families because he is a commoner, and that Ariadne will lose support, and by implication, be overthrown, if the marriage goes ahead. It’s definitely a shift from what we are used to with Dion, who was quite supportive of Jason as a person, even if not necessarily as a husband for Ariadne. We’ll come back to this later. 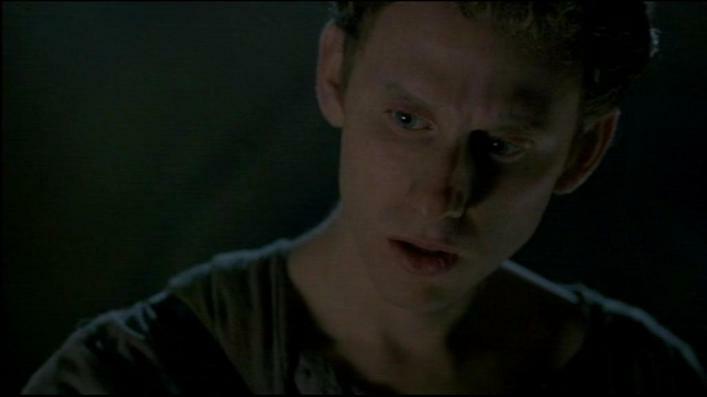 Pythagoras continues to be the eternal pessimist on the subject of omens and whether Jason will be blessed by the gods. I’m sure he didn’t used to be this much of a wet blanket in series 1. Or maybe he is still just fulfilling his function of spelling out all the bad stuff and potential consequences for the viewer. Sometimes Pythagoras is treated less like a major character and more like a walking exposition. It seems that Atlantean city guards continue to be largely crap. Security on the temple leaves rather a lot to be desired, as it appears The Oracle can be kidnapped and got out of the city with hardly anyone noticing. I know it turns out later that there is an inside man turned traitor, but even so, why is it so easy? Why are there no other people around, even at that time of night? Pythagoras, at least, is using his brain about the whole abduction thing. He is the one who works out why The Oracle was kidnapped (in order to prevent the marriage), and later he is the one who works out who the traitor is, and why things happened the way they did (i.e. why she was taken once she got back to the temple, rather than the arguably easier location out in the forest). Oooh! The scenes between Pasiphae and The Oracle were brilliant. Yet again, some of the most impressive scenes in this episode were not the big action fight scenes, or the CGI monsters, it was the scenes involving two incredibly good actors in a room together with a good script. Pasiphae is genuinely threatening and frightening, and The Oracle’s gradual transition from righteous anger and empty warnings, through growing uncertainty to eventual real fear, is entirely believable. Actually, this episode is a complete win for pretty much all the female cast members. Sarah Parish and Juliet Stevenson are both excellent, but Jemima Rooper’s Medusa quite possibly steals the episode. From the happy, brave, loyal Medusa who we knew in series 1, we now have a desperate, broken, lonely woman who will literally do anything to be cured of her curse, no matter how much it goes against everything she used to believe. 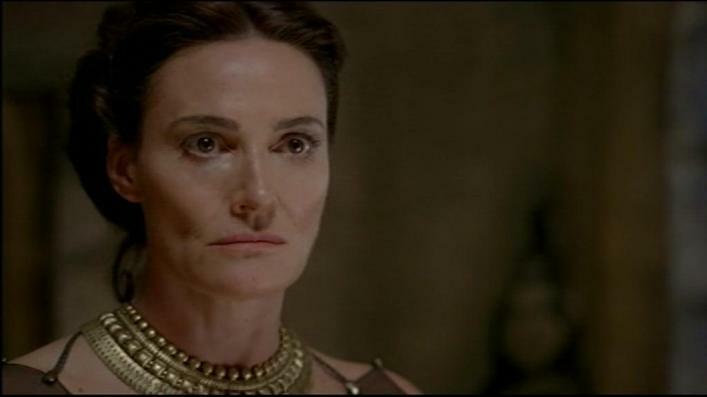 In the aftermath, knowing what she has done, and in her brief reunion with Hercules, her pain is all too obvious. It’s heartbreaking, and utterly compelling. So, Medusa turns The Oracle to stone. OMG! Jack has said in interviews that there were going to be major character deaths, but if I had made a list of all the characters who I thought might die, I have to admit The Oracle was nowhere *near* that list. When the boys discover the body and realise what has happened, the dawning realisation is well played by all three of them. And straight away, Pythagoras starts to be torn between his two friends. Jason is in pain because he’s lost the Oracle, Hercules is scared and hurting because he needs to find Medusa, and Pythagoras is caught between them. From that moment on, in almost all subsequent scenes, we see the group pulling apart, and Pythagoras constantly moving from one friend to the other, dividing his time between them and trying to be there for both of them. Pythagoras *so* knows that Hercules is hiding something. It’s interesting that Jason is so quick to betray Medusa to Ariadne, but he does appear to believe Hercules when he says he couldn’t find Medusa. Pythagoras, on the other hand; the look Pythagoras give Hercules, he knows, or at the very least he suspects, that Hercules is protecting Medusa and knows more than he is admitting. But Pythagoras does not tell Jason this. What he does do is attempt to talk to Hercules on more than occasion, firstly to try to convince him that Medusa may not be the woman they used to know, and later he is more forthright and outright demands that Hercules tell him what is going on (his exact words, “What have you done?” are exactly the same as the words he said to Hercules when Hercules finally admitted to them that he had used the Song of the Sirens to enchant Medusa, way back in episode 1.6). Hercules, of course, defends Medusa, and tries to argue that she must have been forced or coerced by Pasiphae. Arguably that is actually the case, but the boys don’t know that. 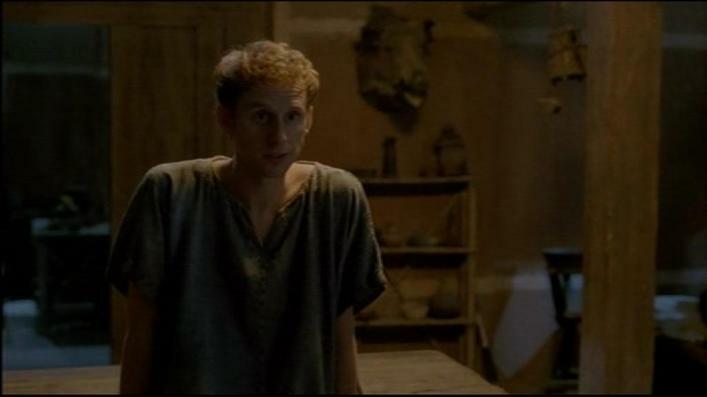 The scene with Pythagoras trying to argue that Medusa did kill The Oracle, and that she may have ‘changed’ sounds less like what Pythagoras actually believes, and more like something that he is attempting to convince *himself* of as much as Hercules. Pythagoras can see which way the situation is going, and is attempting to head it off before it gets any messier, and before Hercules and Jason turn on each other. Jason, meanwhile, attempts to do the noble thing and suggests to Ariadne that they call off the marriage, since everything has gone to hell in a hand-basket because of their betrothal. It’s interesting that after the entire first half of the series with Ariadne putting her responsibility to Atlantis above her love for Jason, now she is the one arguing that they are stronger together, and Jason is the one suggesting that they might have to put their feelings aide for the greater good. And then the second big shock of the episode. Melas is the traitor. 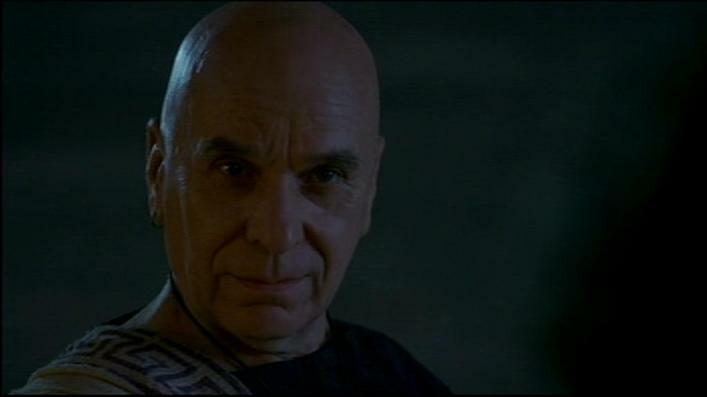 High priest Melas, who has always been there right from episode one, quietly supporting Jason and Ariadne. For him to turn on them like this feels like an actual betrayal for the viewer as well, and a genuine shock. All I can say is that they had better have a bloody good reason for why he has done this, otherwise it makes a mockery of all his actions in every episode prior to this point. Jason being accused of murdering the Oracle seems like a wild escalation of events, and a rather inexplicable one as well. Melas is obviously under pressure to find a way to stop the marriage, and denying them the gods’ blessing hasn’t stopped Ariadne going ahead with it regardless. But surely such a blatant untruth as accusing Jason of killing The Oracle is not the best way to go about stopping it? In fact, there are several things that you probably could charge Jason with, for which you might have some actual evidence, which would be more realistic than that. 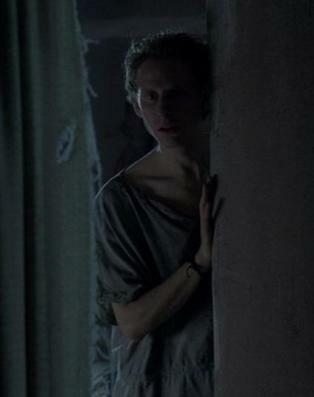 Or alternatively, a knife in Jason’s back down a dark alleyway would do the trick just as well. I can’t help but feel that this plot twist has been set up purely to enable a situation whereby Pythagoras and Hercules are forced to choose between saving Medusa and saving Jason. Of course Hercules will try to save Medusa, but if it comes to a choice between saving Medusa or saving Jason, I don’t know what he will do. As for Pythagoras, he has already pointed out to Hercules that Medusa killed The Oracle, and that after all that time alone and cursed, Medusa may not be the woman they used to know any more. All that sounds like he’s already trying to justify in his own head turning her over to Ariadne. If it comes to a choice of saving Medusa or saving Jason, Pythagoras’ head will tell him to choose Jason, but whether his heart will let him betray Hercules is another matter entirely. So, to end, here are some general thoughts about the events of this episode in the larger narrative of series 2 as a whole. Taking The Oracle and Melas away has isolated Ariadne and Jason and means they are on their own. Series 2 so far has been a long line of taking away their support and supporters. First Ariadne lost Minos, but Dion was supporting her and was friendly and understanding and liked Jason. Now he has gone as well, to be replaced by Delmos, who is considerably less supportive, even though he does appear to be loyal. Jason has always used The Oracle and Melas as his personal go-to source of information and advice, and The Oracle has always been kind and affectionate towards him, and the nearest he has ever had to a mother figure, so to be stripped of both of them at once leaves him exposed and alone. Essentially, all throughout series 1 and for the first half of series 2, Ariadne and Jason have had people who are in positions of power on their side; people like Minos or The Oracle who could stand up for them. Now their only support comes from Hercules and Pythagoras and a few others who are loyal. None of whom are in a position of power or influence. It really is up to them now, they have no one else they can rely on. It’s all got a lot more serious and a lot more complicated. To finish on a lighter note, however, what is going on with Pythagoras’ clothing? In series 1 his tunic had an obvious tailoring at the waist suggesting that it was meant to be worn with a belt(which, the vast majority of the time, it was). 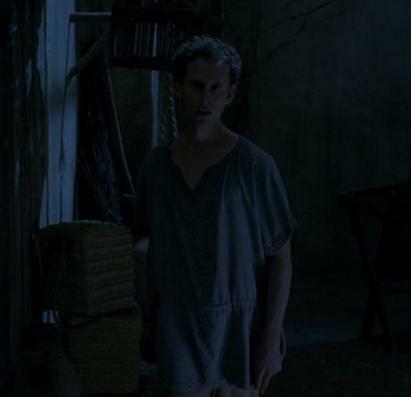 In the later scenes of this episode when they are at home, however, he has dispensed with the belt and his top now appears to be a loose, baggy, untailored smock type thing. Is this the Atlantean equivalent of slobbing around at home in your favourite comfy t-shirt and jogging bottoms? In the meantime, Jason is apparently taking a nap whilst wearing his solid leather breastplate. That cannot be comfortable! Also, I know they are on a state of high alert at that moment, but is he really so paranoid that he sleeps in his armour? "...it was the scenes involving two incredibly good actors in a room together with a good script"
This is what makes a show special and Parsiphae/Oracle scenes were a good example. Series 2 has actually been rather good at the whole 'put two incredibly talented actors in a room together and let them get on with it' scenes. Those are the things that the fans will remember years from now, not the big explosions or the CGI effects or the fights, it's the dramatic *character* moments. I hope you don't mind me commenting on your recaps, I really enjoy reading them, you do a terrific job of balancing what was good and bad in the episodes. 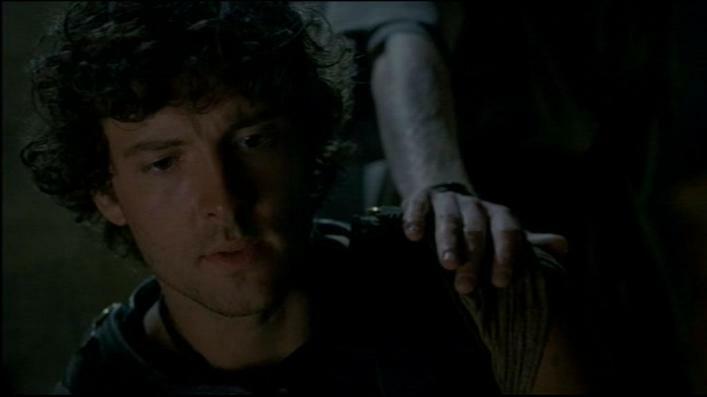 I was very disappointed that Melas has become a traitor, he was such a steadfast support to Jason and Ariadne in the past, it seemed odd for him to suddenly become an enemy. Medusa is going to throw a spanner in the relationship between the guys, I'm feeling a bit nervous about that, not sure how it will end. Anyway, thanks for the recaps and keep it up because I love reading them. Oh, please do drop in and comment - the more the merrier! I do like to at least try to take a balanced view of the episodes, but I will admit that it occasionally descends into, 'omg how hot/pretty was Pythagoras in that scene?!'. What can I say? I have the occasional shallow moment, lol! I was shocked and horrified when it turned out to be Melas who was the traitor. 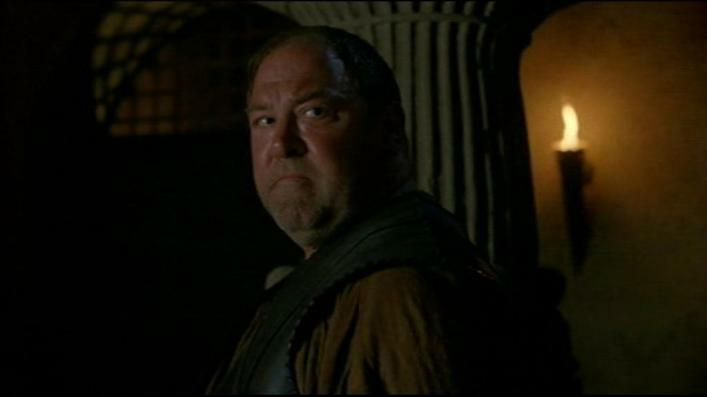 Of all the characters in the entire show, I would never ever have expected it to be him. In a way it's interesting that the show writers have chosen to use Melas like that, rather than bring in a random new character to the royal court, precisely because it will have more emotional impact with the viewers. But damn, it hurt that it was him.